The Italians. Good food, good wine, good catchphrases and good looks. The Italians make the finest cheese, the sweetest pastries and the heartiest of family feasts. The culture of eating and drinking Italian style is such an adored facet of Australia’s diverse dining scene, and Port Douglas isn’t immune from the romance of Italy. Enter Sassi la Cucina e Bar. With its clothless tables, Peroni & Campari posters adorning walls, flowing aperitivos and outdoor tropical greenery, this old-school diner is as Italian as you get outside of Italy (and Melbourne). Although casual in nature, don’t let that make you think the details have been forgotten. Owners Tony & Di Sassi, legendary in the Port Douglas restaurant scene, have put together a venue where service is disarmingly attentive, the aperetivo selection and the wine list is well thought out and the menu is the perfect reflection of an Italian mama’s kitchen with a locavore ethos in Tropical North Queensland. 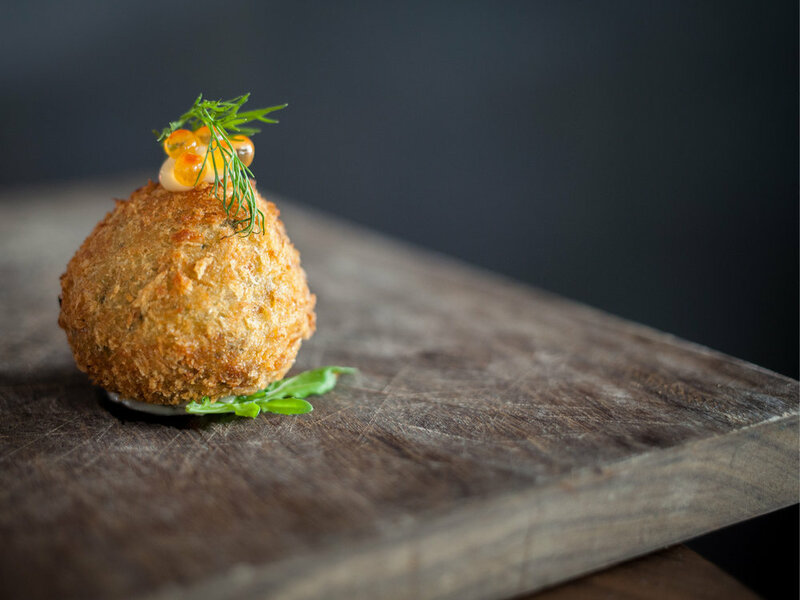 Naturally in this charming fishing village, seafood is the main focus –from the bar menu the Gamberi Fritt (crispy fried school prawns) are moreish, and the Baccala Mantecato (salt cod croquette with salmon caviar) takes on the Pringles tenet – you simply can’t stop at one. Meanwhile, the Zuppa di Pesce, the Italian version of bouillabaisse, is generous with its seafood selection of reef fish, tiger prawns, bugs, baby octopus, calamari, mussels and clams, all cooked in white wine and fish stock. For those needing a little more Italian depth with their Italian fare, a Black Angus rib-eye encrusted with salt and pepper and served with an anchovy and rosemary crust is perfection in its simplicity, and of course there’s the Spaghetti Alla Puttanesca and the Risotto del Giorno for the purist Italophiles. The evocative Italian music and convivial atmosphere are conducive to staying a little longer, as is the slick service and a sweets menu that’ll have you in the confessional saying the rosary in no time. Affogato? Of course. Gelato al Basilico? Praise be. Fromaggio? We thoughts you’d never ask. 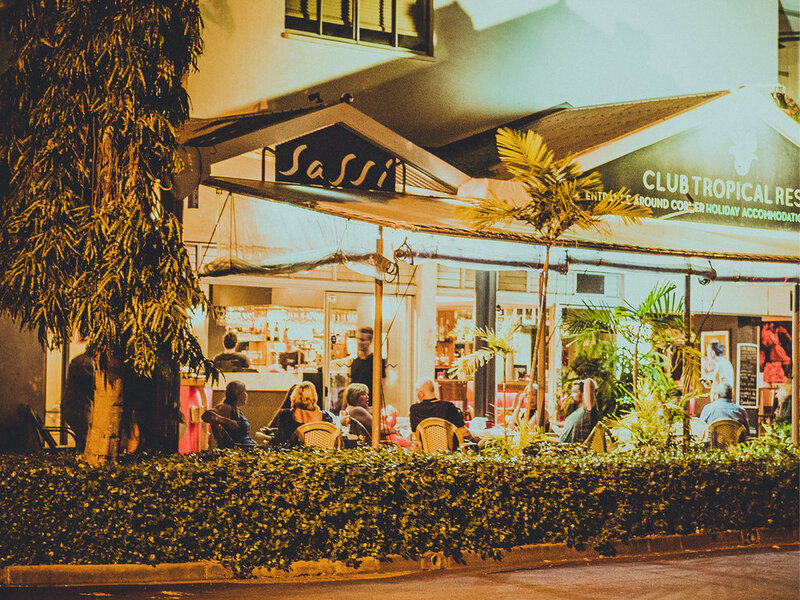 If your dreams of an Italian getaway in a Tuscan mansion with a cellar and a pool boy are just a little out of reach, Sassi’s is most certainly the next best thing for a few hours. Settle in with your Negroni, let your cheese dreams transport you to places with a vineyard, and start referring to your tummy as Little Italy. And then despondently look for flights for Euro-summer next year. But in the meantime, there’s always Sassi’s.